“Prevention is better than cure” is what we have learned in our childhood. Good health is directly proportional to good nutrition. You will be in a good position to fight and prevent the attack of diseases. Vitamin B plays a crucial role in preventive care and promoting a healthy metabolism. Thiamin: It plays an important role in converting glucose into energy thereby improving your metabolism rate. You can get thiamin in wheat germ, legumes, sesame seeds, nuts, pork, yeast, peas, fresh and dried fruits, etc. The recommended dosage for adults in the age group of 20 to 60 is 1 mg for men and 0.8 for women. Riboflavin: It is responsible for energy production. It improves your skin health and aids in better vision. It keeps your nervous system healthy. Milk, rice, cottage cheese, rice, leafy green vegetables, egg white are good sources. Make sure you keep these sources away from direct sunlight as they may destroy riboflavin. The recommended dosage for adults 1.3 mg for men and 1.1 for women. Niacin: It plays a significant role in DNA production and repair and metabolism. Food sources for this vitamin are lentils, tuna, chicken, milk, fish, mushrooms. The recommended dosage for adults is 16.5 mg for men and 13.2 for women. Pantothenic acid: It is essential for the production of red blood cells, steroid hormones and helps to metabolize proteins, carbohydrates, fats, and alcohol. Include beef, chicken, potatoes, tomatoes, broccoli, eggs etc. to maintain the level of this vitamin. Vitamin B6: It is also called pyridoxine. It helps in the formation of hemoglobin found in red blood cells, which helps to carry oxygen. It is involved in amino acid metabolism and the creation of neurotransmitters. 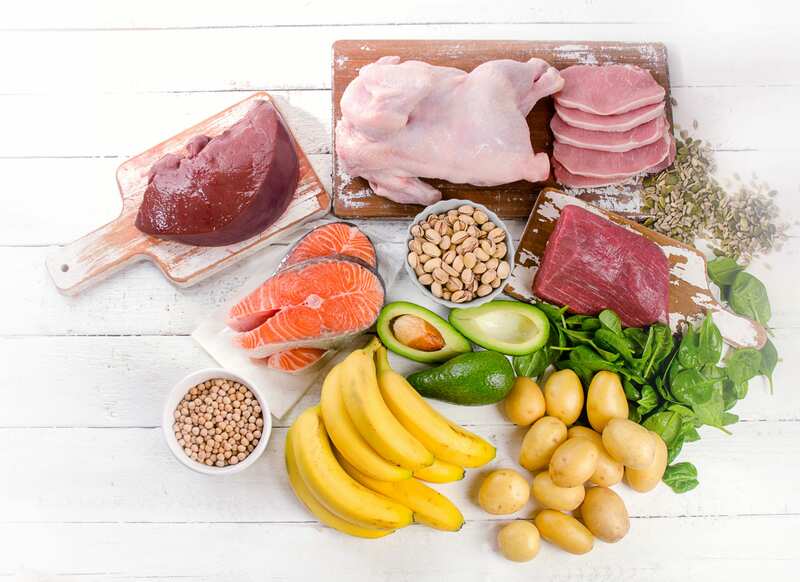 Meat and poultry, cereal grains, soya beans, peanuts, milk, eggs, and leafy vegetables are rich sources of food for this vitamin. The recommended dosage for adults is 1.4 mg for men and 1.2 for women. Biotin (B7): The bacteria which occur naturally in your bowel are able to make biotin. It aids in breaking down fat and glycogen. Make sure you consume egg yolks, chicken, cauliflower in your diet. 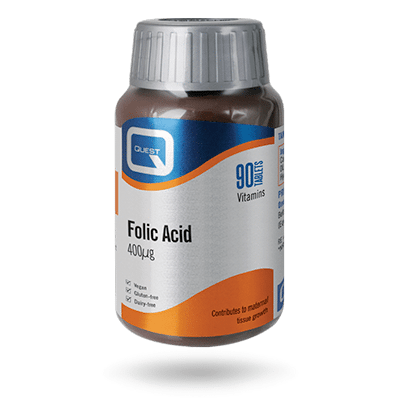 Folate and Folic acid: Folate plays a crucial role in cell division, cell growth, the formation of red and white blood cells and promoting metabolism of amino acids. Good sources of folate are leafy green vegetables, seeds, legumes, chickpeas, broccoli citrus fruits, and cereals. 200 micrograms of folate are highly recommended. Pregnant women may require higher dosage. Vitamin B12: It is needed for maintaining the health of your nervous system, producing energy by breaking down amino acids and fatty acids and forming red blood cells. It is found in animal sources like seafood, eggs, meats, and dairy. In case of deficiency, you need to level up the requirement by taking Vitamin B supplements. Consult your dietician or doctor today. This power packed group of vitamins will help you to B positive.